Overnight stay in a hotel such as the Moderno Hotel in Premeno allows to join together the relax of the Verbanese up-country with all the activities and the excursions in the Lake Maggiore territory. The city, that was built in the Bronze Age, today is a well-advanced small tourist center able to offer to tourists the services and excellent communication channels with the most famous cities of the Lake Maggiore. The peculiar position of Premeno makes it possible for the village to be calm and quiet, put in a hollow between Sasso Corbe and Pizzo d’Omo and completely surrounded by conifers and broad-leaved woods. Thanks to the surrounding nature, Premeno has a particular mild climate throughout the year, and for this reason it is the perfect destination for those who decide to discover the Lake area during winter time. Not far away from Premeno, then, there are the town of Cannero, Cannobio and Verbania, the cultural and landscape heritage of our Country, easily reachable by car. For its central position, during the last centuries, many famous people decided to stay in Premeno and this is why the territory is rich in important villas such as Villa Bernocchi, today property of the municipality, villa Mangiagalli, villa Murari, villa Bonomi and villa Calvi. Who decides to stay in a hotel over the Lake Maggiore or in its surroundings, then, can not miss the visits at the mountain huts of the several mountain pastures sited on the near hills, in routes accessible by foot or by mountain bikes for a vacation that connects taste, folklore and sports. 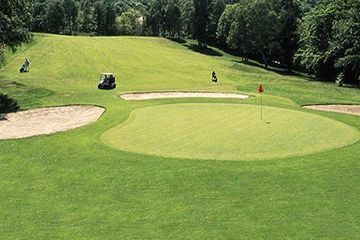 In Premeno it is possible to practice Golf thanks to the mountain field of Pian di Sole, sited between the Val Grande National Park and the Lake Maggiore. 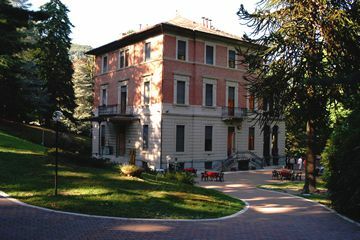 In Premeno it is possible to visit Villa Bernocchi, built thanks to the Bertocchi family, an important name of the Italian industry field.